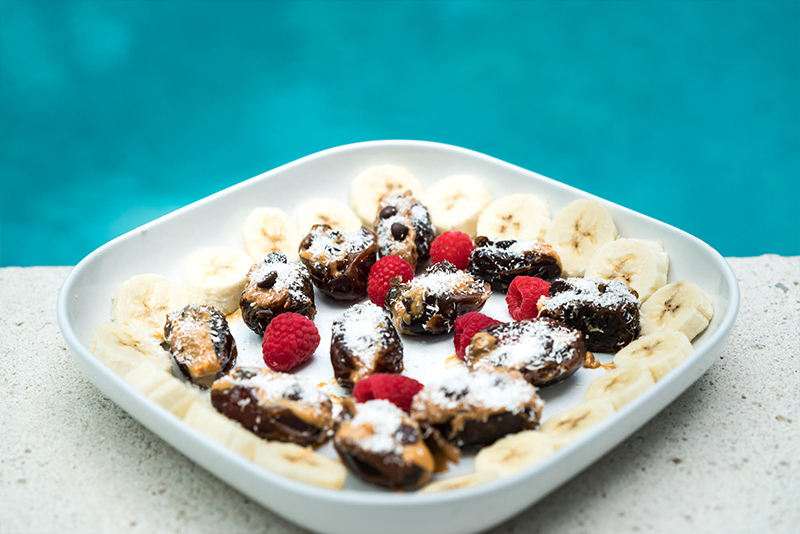 Quick and easy bites for a great pre-workout…or just to solve a sweet tooth craving. I usually have 1 or 2 before a long run and sometimes sneak in another one after dinner. They’re so easy to make! 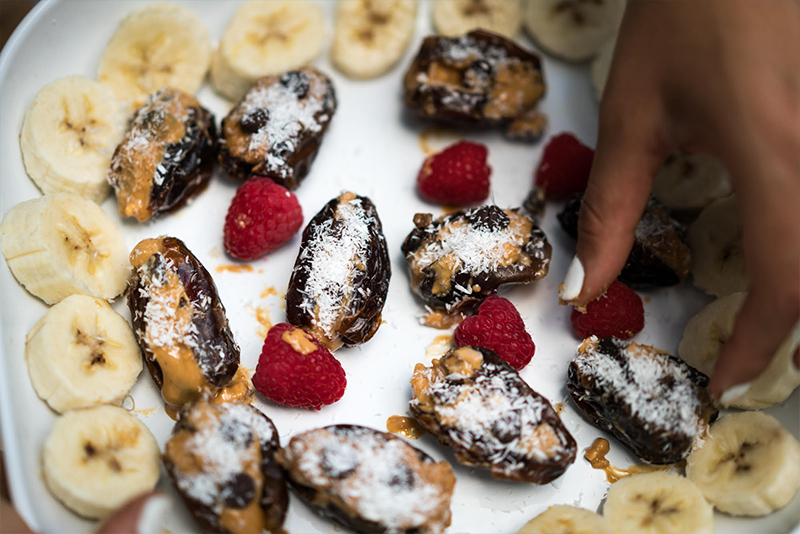 Place a dollop of peanut butter in the center of the dates. 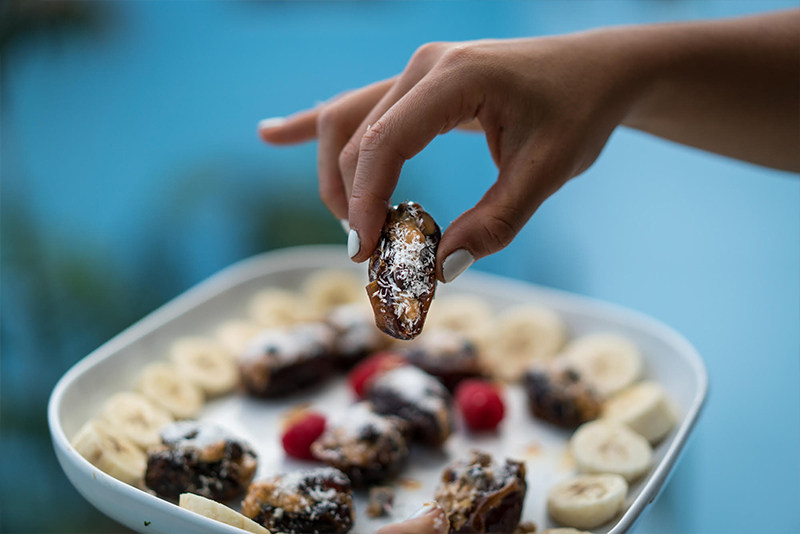 Top with coconut flakes and non-dairy chocolate chips. Place in the refrigerator for 15-20 minutes or freezer for 5-10 minutes. Make sure the peanut butter has hardened. Take out and try not to eat them all in one sitting! Store in fridge up to 5 days.